I ARRIVED in Turkey for the second time in my life toward the end of 2017, landing at Istanbul. Almost immediately, I could see that a lot had changed. The prosperous and secular country I visited last time was in a slump. Islamic headscarves, previously rare, were also common. A combination of terrorist attacks and political upheaval had slashed tourism numbers and thrown the wider economy into a tailspin. Just before I arrived, the news media announced that visas would no longer be given to US visitors. This was because the USA was harbouring the cleric Fethulla Gülen, who the government of Turkish president Recep Tayyip Erdoğan regarded as a coup plotter. The visa ban was partly lifted in November, though it still takes Americans about a month to have one approved, apparently. The State Department continues to advise against travelling to Turkey. Ironically, this means that American’s can’t easily spend Christmas this year in the land of Santa Claus. I’m not referring to a fictitious character at the North Pole, but to a real person who lived and walked in the land that is now Turkey. I’ll explain all that a little further on! Luckily, I had a New Zealand passport, so I was alright. There are a lot of advantages to travelling on the passport of a country that hardly ever makes it into the news. Here are some pictures I took in Istanbul. I’m going to write about Istanbul at more length in another blog. 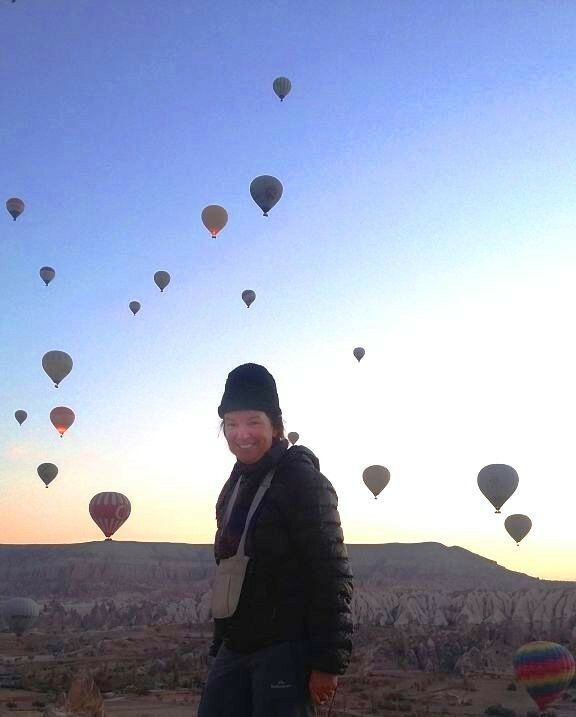 The rest of this blog, however, will be about a different topic: my experiences in Cappadocia. 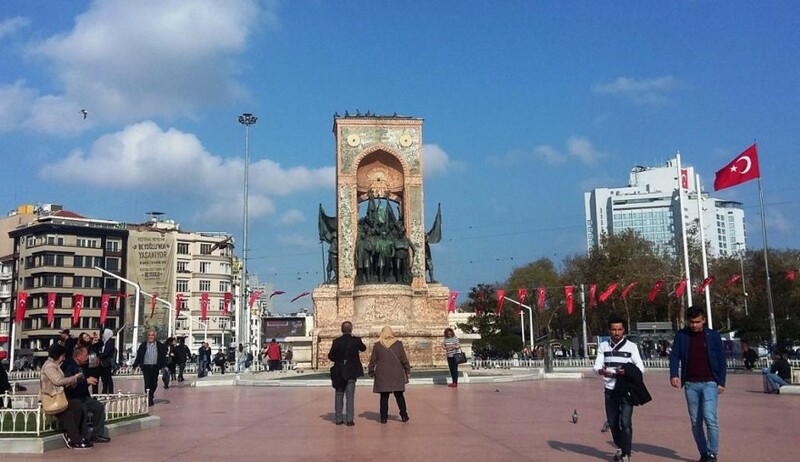 Taksim Square, Istanbul. This is an important railway station plaza and transport hub. It has been the site of many protests over plans to build a shopping mall on top of the nearby Taksim Gezi Park. The monument is the 1928 Monument of the Republic. 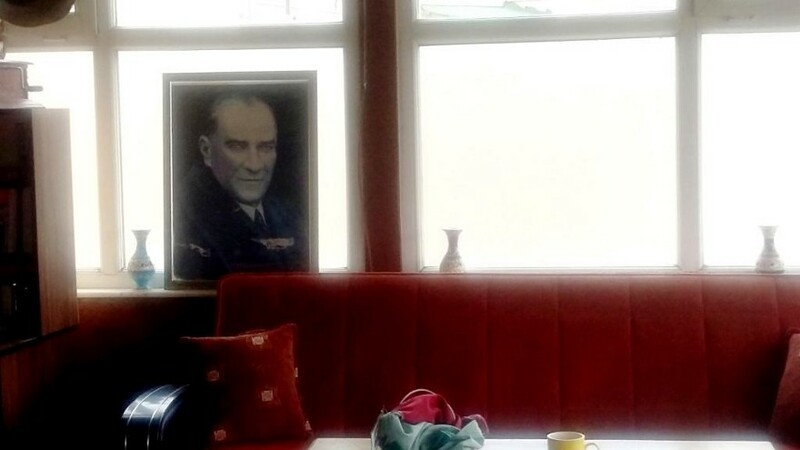 The founder of modern Turkey, Mustafa Kemal Atatürk, who is still venerated. 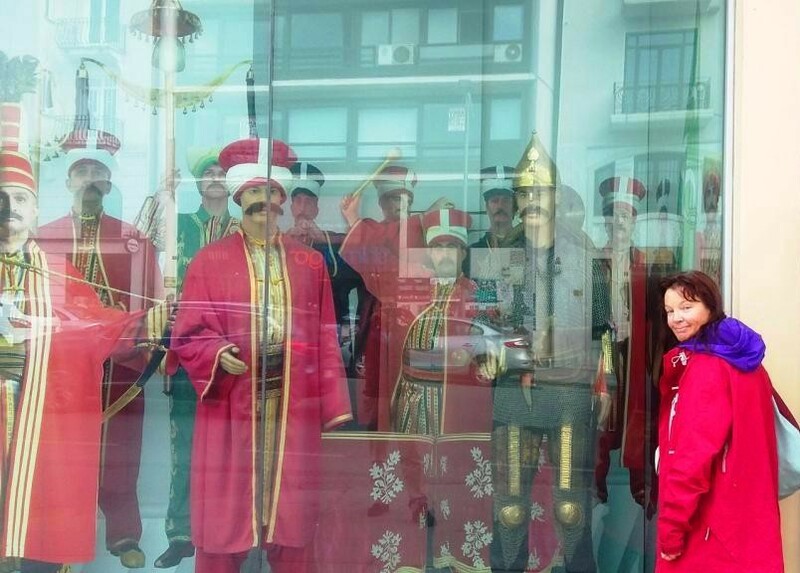 Traditional Ottoman parade uniforms and cevgen. At top left, behind these splendid fellows, and their even more splendid moustaches, you can make out a crescent-like object from which two tassels and a large number of small bells dangle, joined to a sort of hat above it from which still more bells hang. This is a musical instrument called a cevgen, pronounced jevgen. It is carried on parades where it makes a constant jingling noise. The cevgen is known informally in English as a Turkish crescent or a jingling Johnny; and in Germany, where brass bands often carry it as well, as a Schellenbaum or ‘ringing tree’. A Christian Basilica. Before it was conquered by the Turks in 1453, Istanbul, then known as Constantinople, was mainly inhabited by Greek Christians. 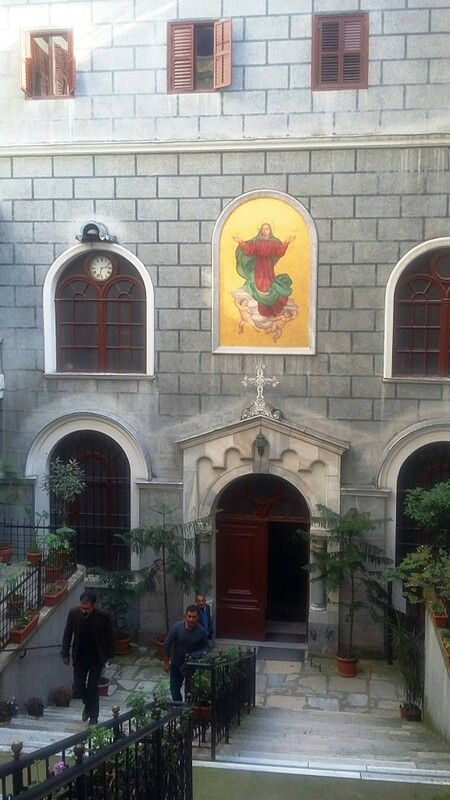 The city retained a large Greek Christian community until the middle of the twentieth century, although ethnic riots in the 1950s led many of the remaining Greeks to leave. 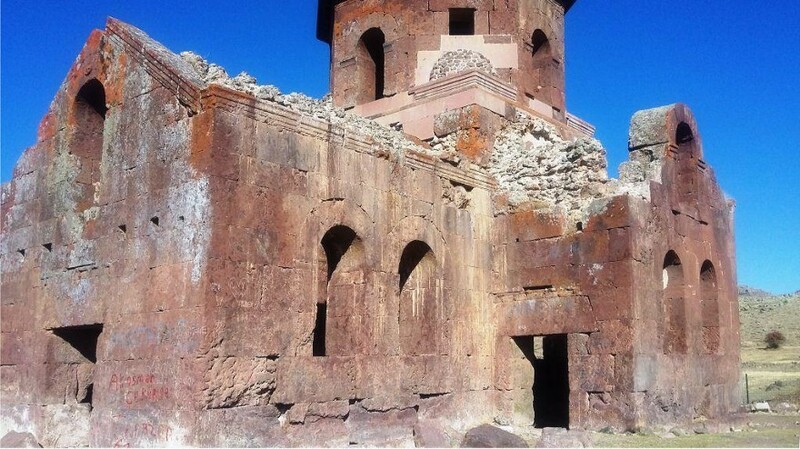 Historical Regions of Turkey that are mentioned in this post. 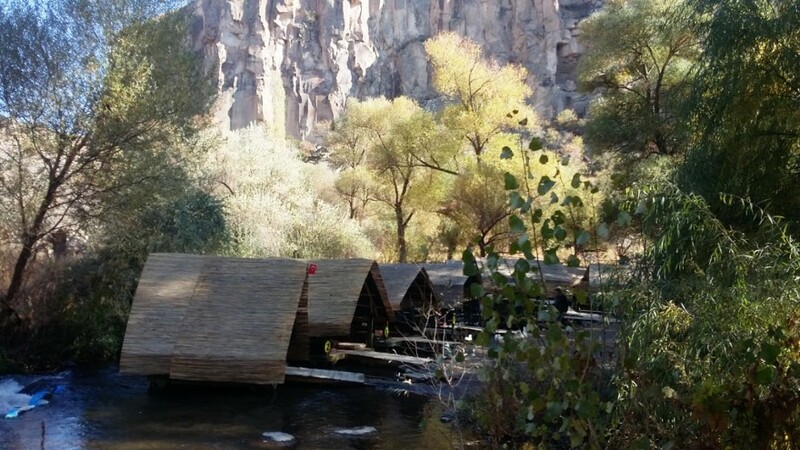 Cappadocia and Lycia, are both in Anatolia, the large peninsula between the Mediterranean and the Black Sea. Rumelia is European Turkey. Rumelia used to be as large as Anatolia but is now truncated. 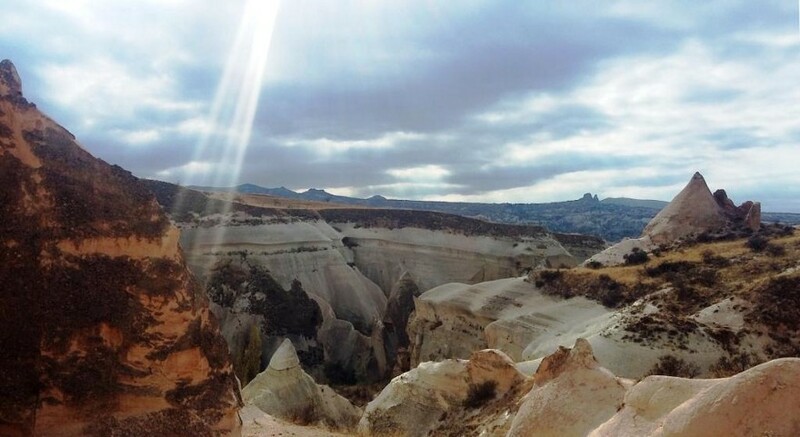 Key features in Cappadocia. 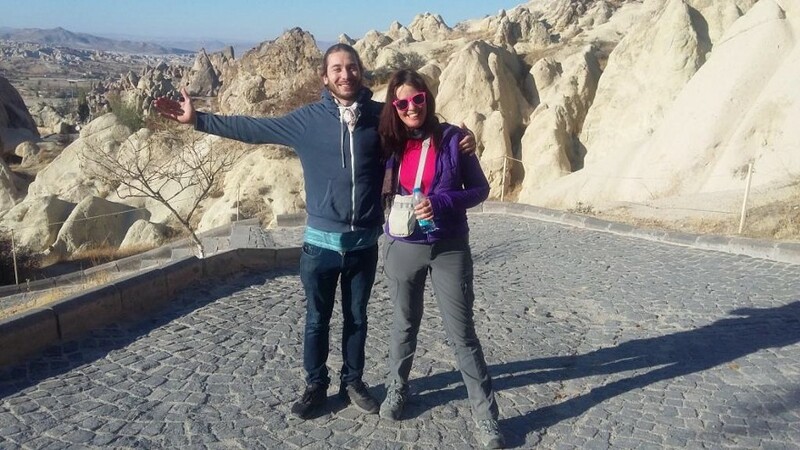 Tourists frequent the Avanos-Nevşehir-Ürgüp triangle around Göreme, the Ihlara Valley, and the underground cities of Derinkuyu and Kaymakli in between. 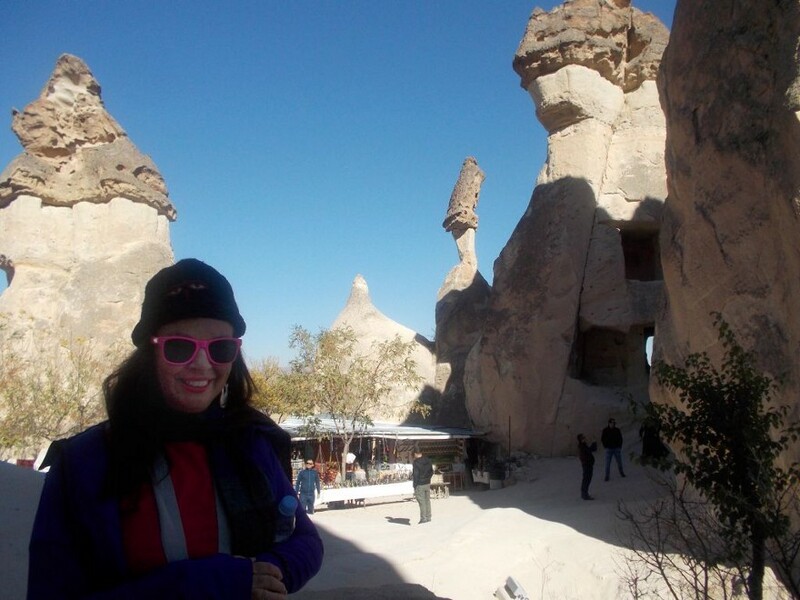 Cappadocia is a region in central Anatolia: the great peninsula between the Black Sea and the Mediterranean. 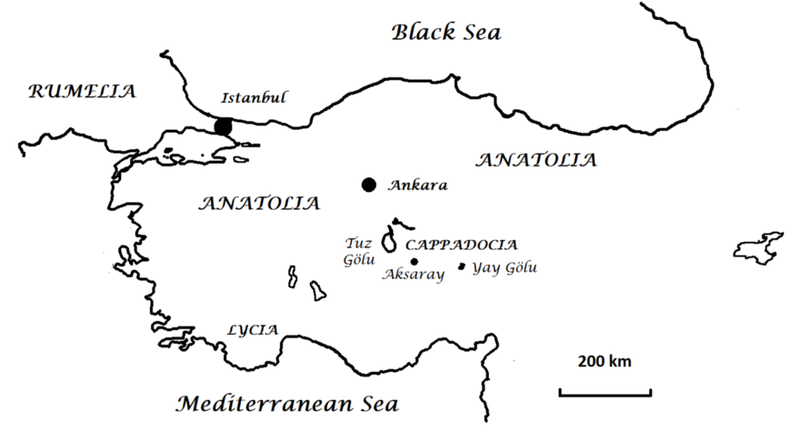 Modern Turkey consists of Anatolia plus a small part of Europe (Rumelia). Before it became the heartland of Turkey, Anatolia was one of the last holdouts of the Roman Empire. Westerners think that the Roman Empire fell in the 400s CE, when the barbarians occupied Rome. In fact, the fall of the Roman Empire was more of a gradual whittling-away of territories, which continued for another thousand years. After the fall of the West, Constantinople (now Instanbul) became the capital of the Empire, which became primarily Greek speaking from the 600s CE onward but nonetheless continued to call itself Rome or the Roman Empire, right up to the fall of Constantinople to the Turks in 1453 CE. Egypt and Syria were lost to the Muslim Arabs in the 700s CE, and most of Anatolia was lost in 1071 to the Seljuk Turks, a dynasty who came before the Ottomans. The Seljuks called their part of Anatolia the Sultanate of Rum, that is, of Rome. As that name suggests, the Turks regarded themselves in those days as inheritors of Rome, of which they were generally in awe, rather than its destroyers. They saw themselves as moving in to take over in a simlar fashion to the Muslim Mughal rulers of India, who built the Taj Mahal and a whole lot of forts but otherwise didn’t stop India from being India. Thus, in 1453, the Ottoman Sultan made Constantinople his own capital and immediately took the title Kayser-i-Rum, Caesar of the Romans. And so, the old-time Turkish empire was neither exclusively Turkish nor exclusively Muslim. It was an empire of many creeds and peoples, whose rulers actually chose to emphasise a continuity with ancient Rome, even after 1453. The name of Constantinople was retained in Turkish style as Konstantiniyye, with the name İstanbul not becoming official until the twentieth century. 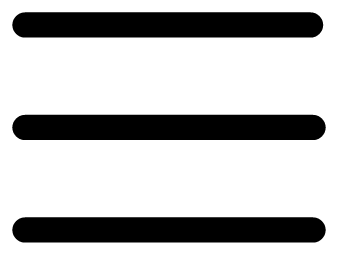 I mention a lot of Turkish names in this blog, quite a few with what may look like funny squiggles. Actually, pronouncing words written in modern Turkish letters — introduced in the twentieth century to replace a form of writing that was more like Arabic and unsuited to the sounds of the Turkish language — is easy even if you don’t know any Turkish. The dot which appears even on the capital I in words like İstanbul means that it is pronounced ‘ee’ as in the English word ‘feet’. 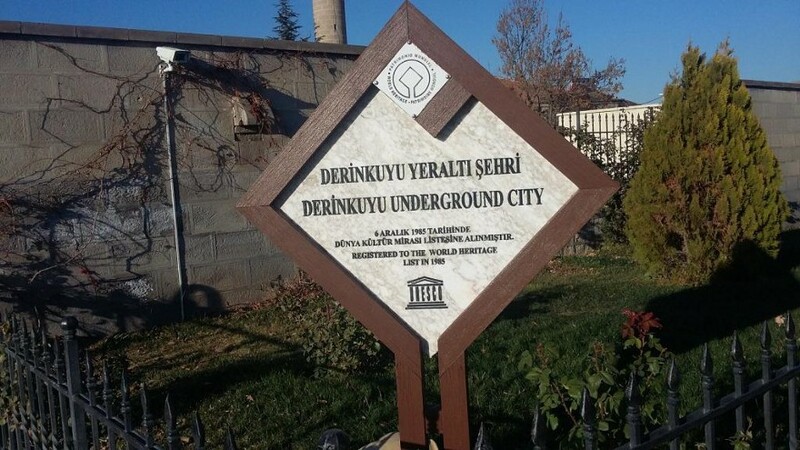 There is also an I that has no dot even on the lower-case letter, as in Turkish words like kızıl (‘red’) and Kaymaklı (the site of an underground city). This dotless letter ı is pronounced like the letter e in the English word ‘open’, so that it is really a sort of ‘uh’. The Turkish letter g is hard except when written ğ as in Erdoğan, when it is softened past our usual soft g (represented in Turkish by c) to the point where it is more or less silent or pronounced like a w. A similarly extreme softening of the letter g is represented by gh in Gaelic, and for that matter in quite a few English words such as the name Roughan, so this isn’t an unfamiliar thing at all. Thus, an entry on Turkish spelling in Wikipedia suggests that English-speakers won’t go far wrong if they think of Erdoğan as Erdoghan! Because Turkish c is pronounced like j or a soft g in English, the dynasty we term Seljuk is actually written as Selcuk in Turkish. Where does that leave the Turkish letter j? The answer is that it is pronounced like ‘zh’ or the letter s in ‘measure’. And the Turkish letter r is also pronounced a bit differently from the way r’s are pronounced in English, more like an English d or a t. A similar kind of r in Māori led early British settlers to borrow the Māori expression piri-piri, meaning a sticky or barbed seed, into New Zealand English as biddy-biddy. When c and s are modified into ç and ş in Turkish, that means they are to be pronounced like English ‘ch’ and ‘sh’ respectively. And when two dots appear above an o or a u, that has the same significance as in German. Once it acquires two dots on top, the Turkish letter o changes from a normal o sound to something like the e in ‘er . . . um’, while the u that has acquired two dots changes from ‘oo’ as in ‘foot’ to something more French-sounding, more like ‘ew’ or ‘yew’. Apart from that, everything is the same as it would sound in English. 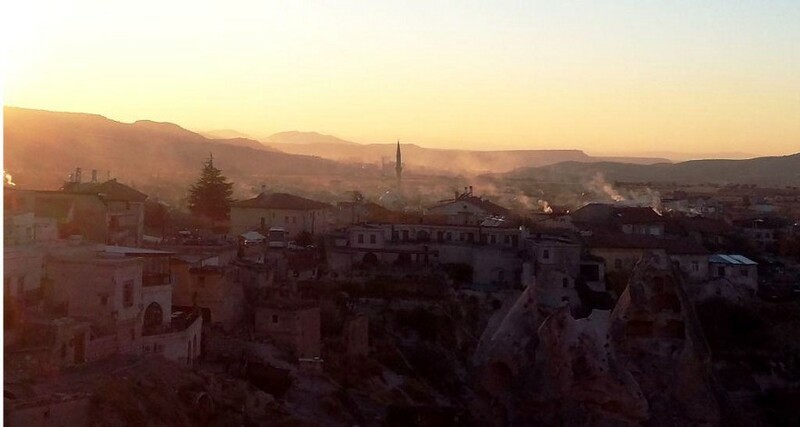 Cappadocia is spelt Kapadokya in Turkish and that gives you its official pronunciation. Westerners always use the ‘C’ spelling which is closer to the way it was spelt in Roman and Greek times. I will stick to that convention. As the Turkish spelling indicates, the first C is hard. The second c is officially hard as well but is often pronounced like a ch, or even locally like a ‘p’. 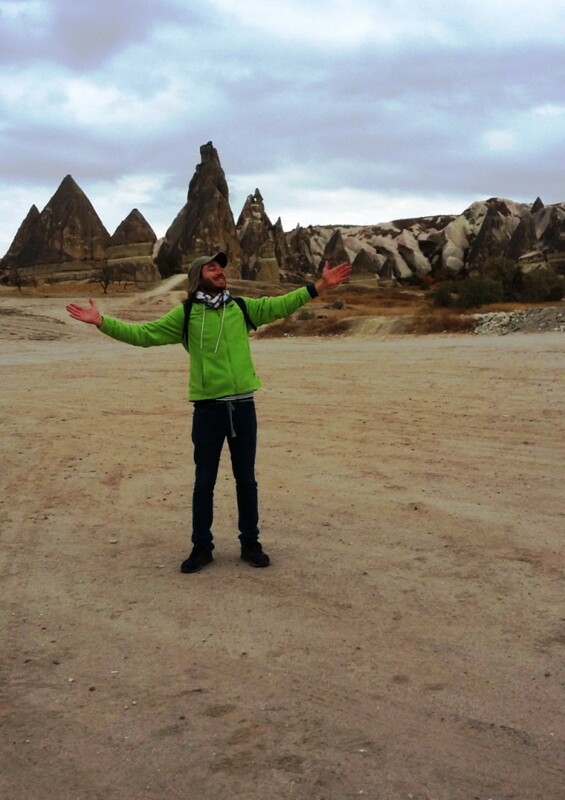 Cappadocia (or Kapadokya) is one of the most bizarre places on earth. The landscape is mostly made up of a thick layer of pumice-like volcanic ash built up over millions of years. 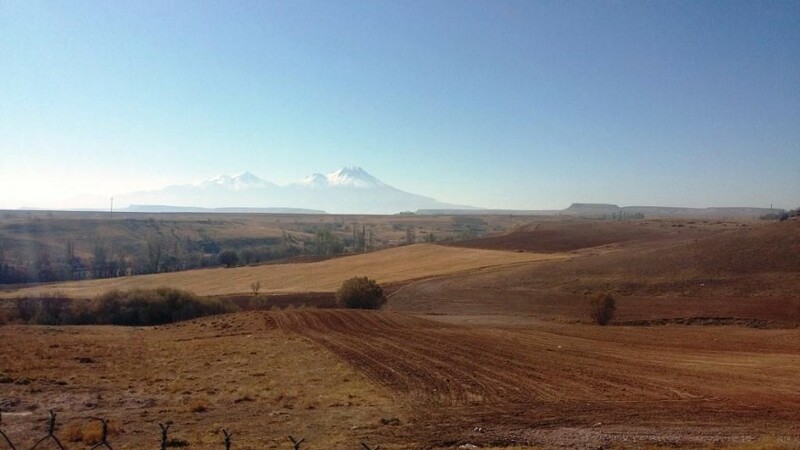 Two prominent volcanoes, Erciyes Dağı and Hasan Dağı, stand guard over the region today. 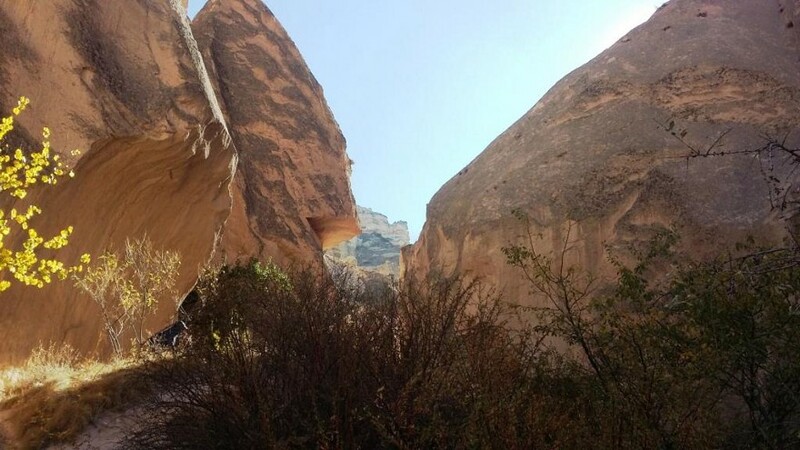 ‘X Dağı’ means the same thing as ‘Mount X’ in English. 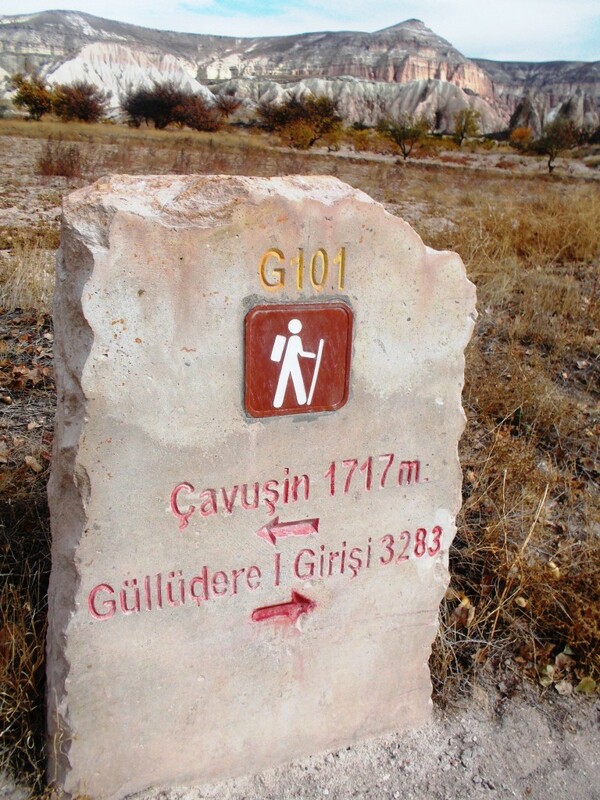 Hasan Dağı, Mount Hasan, also appears on maps as Hasandağ, although Erciyes Dağı doesn’t seem to get run together in the same way. The ash has hardened into a material resembling pumice or porous concrete. By the same token, it erodes easily. Local rivers have sculpted it into deep valleys. 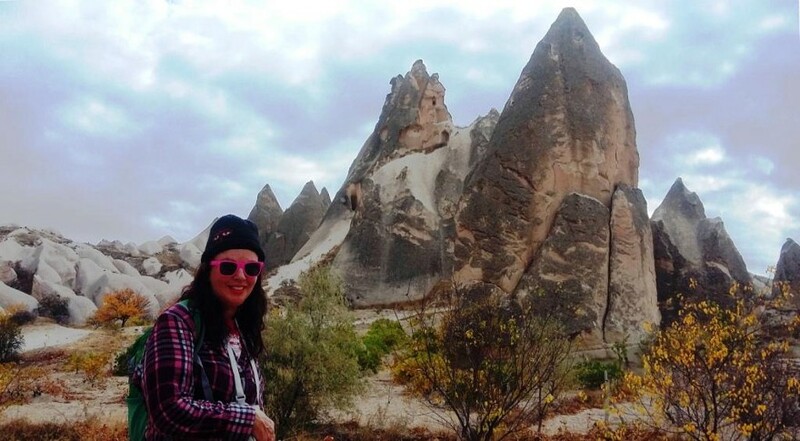 It has also eroded into cones known as fairy chimneys in English. 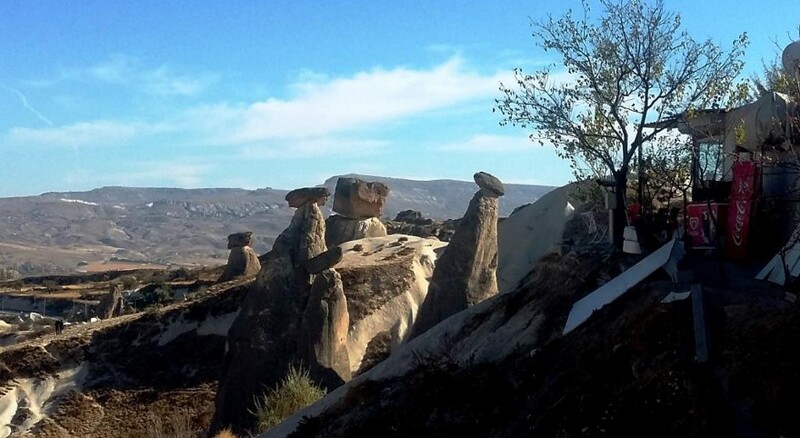 These are the most distinctive features of the Cappadocian landscape. 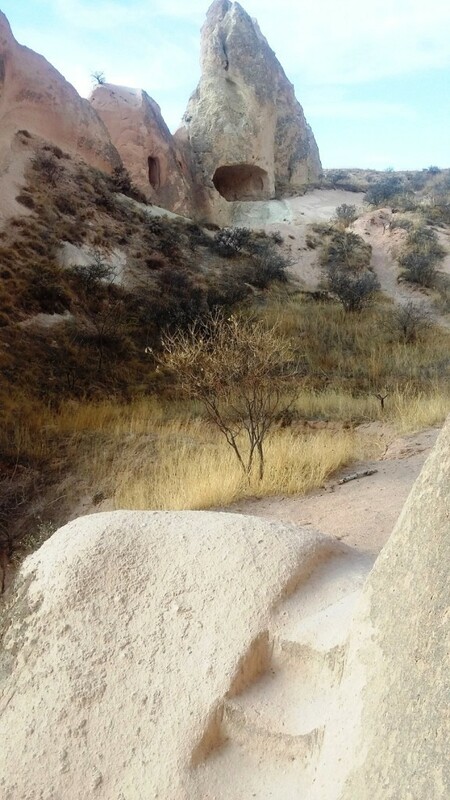 Every fairy chimney forms under a layer of harder material or even an individual boulder of more solid rock, which can sometimes still be seen perched on top. 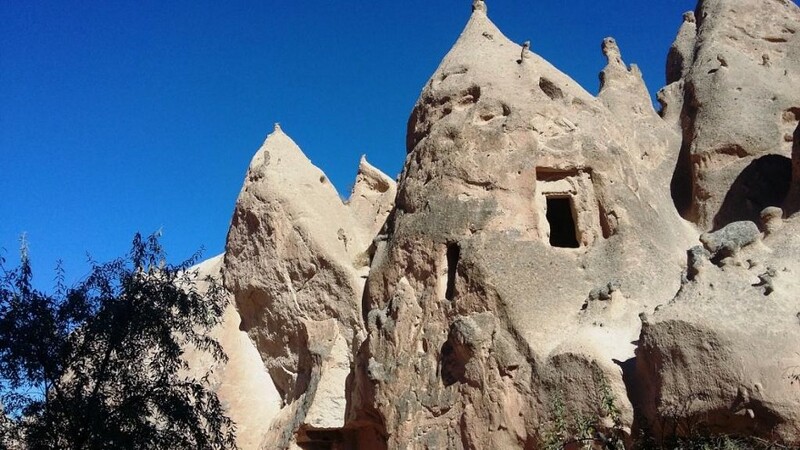 For perhaps ten thousand or so years, people have hollowed out the solidified ash to create dwellings inside the fairy chimneys and cliff-faces, in the ground, and above ground in houses cut from blocks of ash. 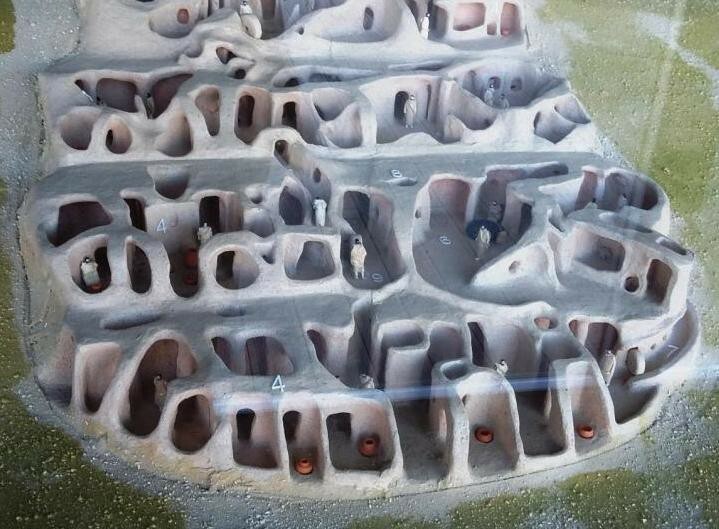 Some of the most ancient evidence of habitation has been found at a Neolithic (late stone age) site called Aşıklı Höyük. 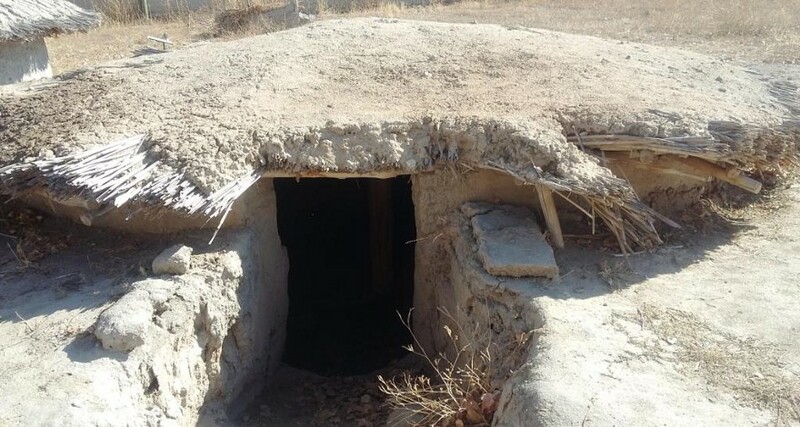 Reconstructed neolithic dwellings of another type at Aşıklı Höyük. 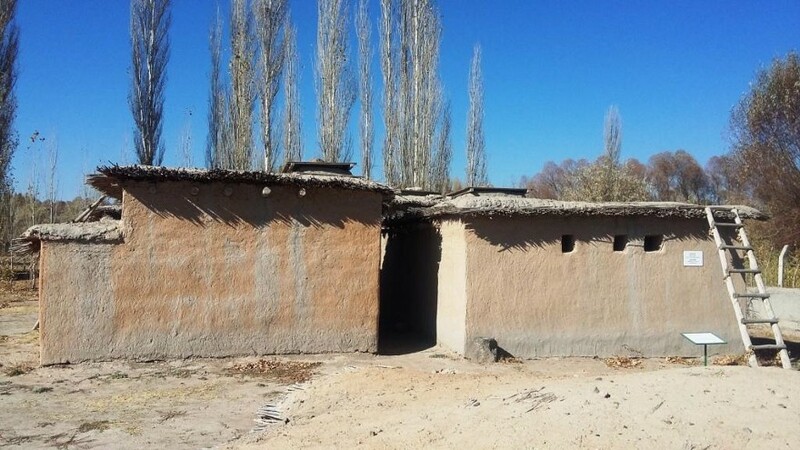 Did modern building get started in places like this where blocks were easy to cut, I wonder? 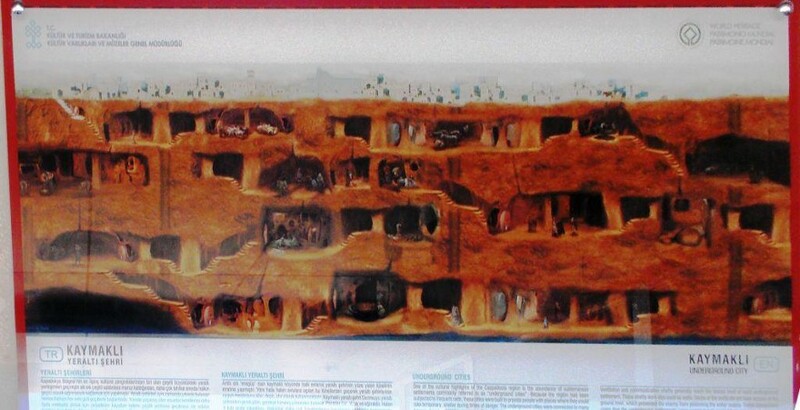 Those who felt insecure living above ground created entire, multi-level underground cities, as well as apartments carved into cliff faces, with smaller apertures for dovecotes. Doves symbolise various spiritual and peaceful values in both Christianity and Islam. 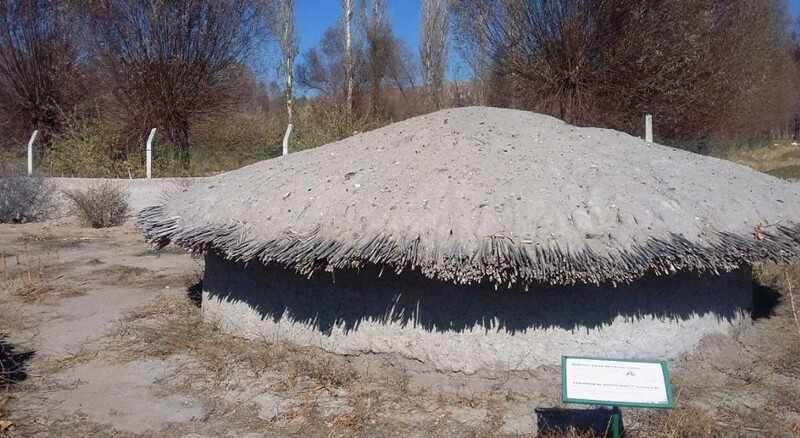 On a less exalted plane, dove manure was also used as a fertiliser for the soils of his rather barren landscape. 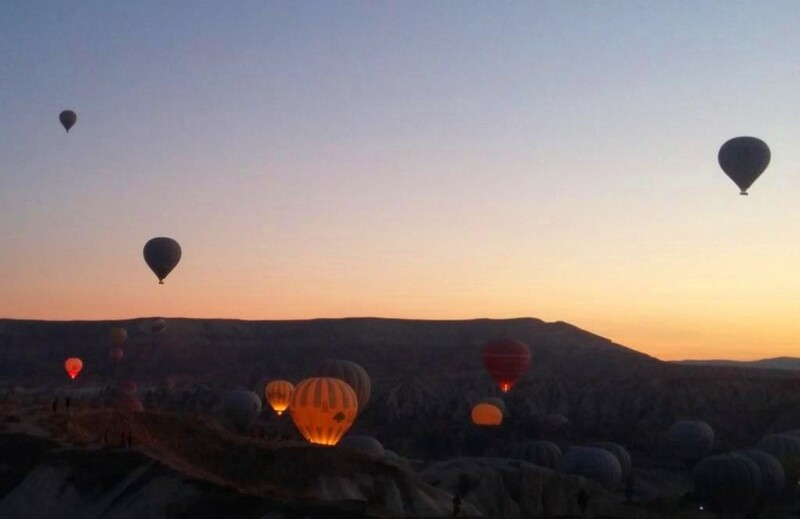 The scenic and ancient qualities of the Cappadocian landscape have also made it a hotspot for balloon flights. 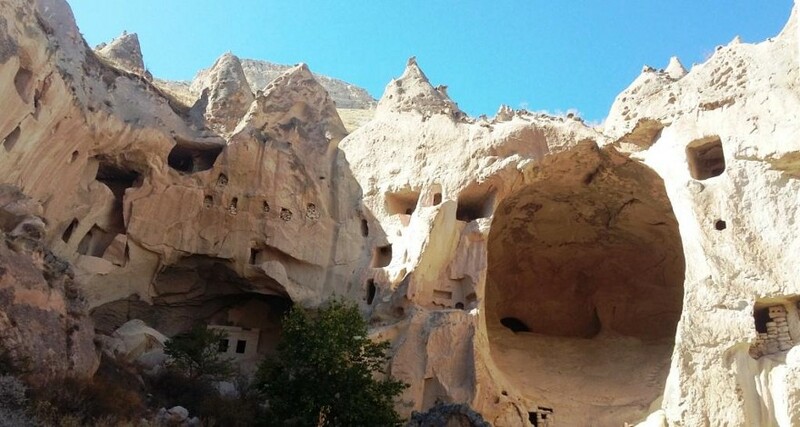 Ürgüp, cave dwellings integrated with more conventional structures. Note the dwellings further up the hill! 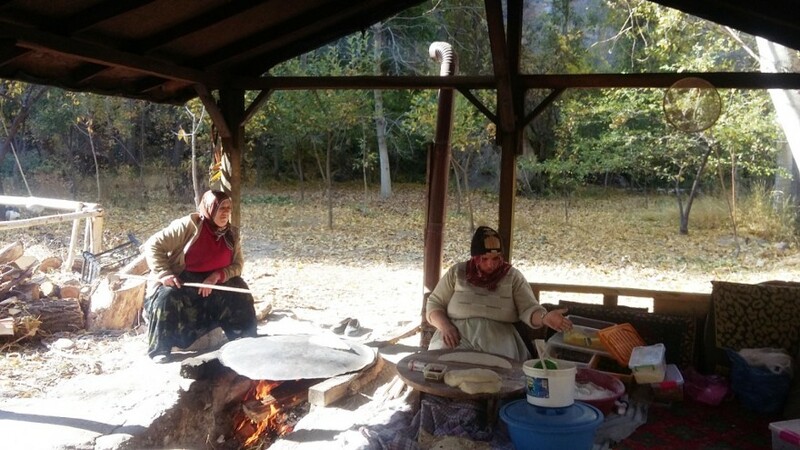 As a result of these continuities, even as late as the First World War, about a fifth of the population of Anatolia was made up of Christian ethnic minorities: mainly Greeks and Armenians. These minorities were concentrated in a number of distinct areas. 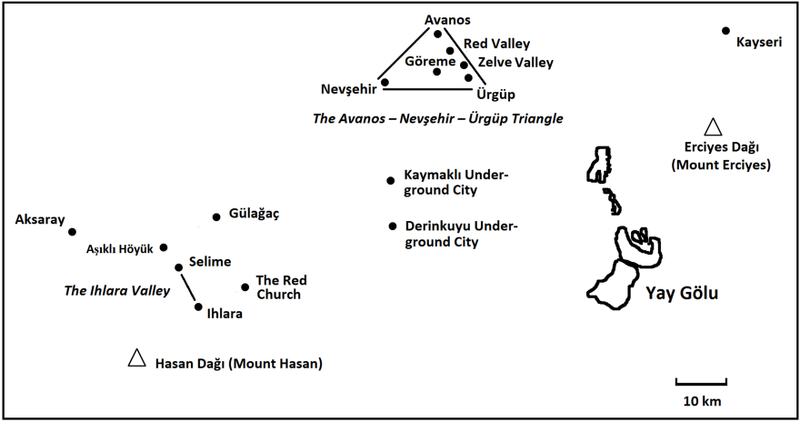 Greeks lived along the coast and in Istanbul; Armenians in the east; and a further population of Greeks in Cappadocia. 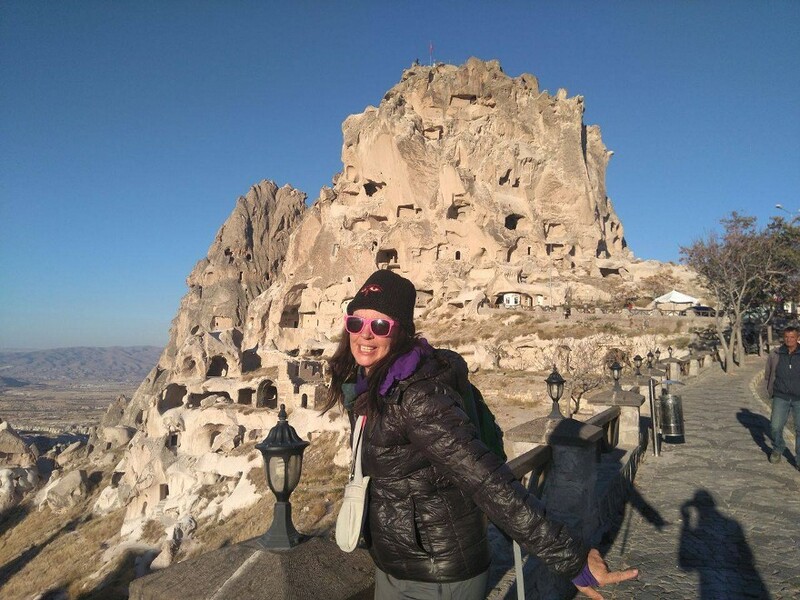 Cappadocia was especially important as a place of refuge for early Christians and as a place where early Christianity gelled. 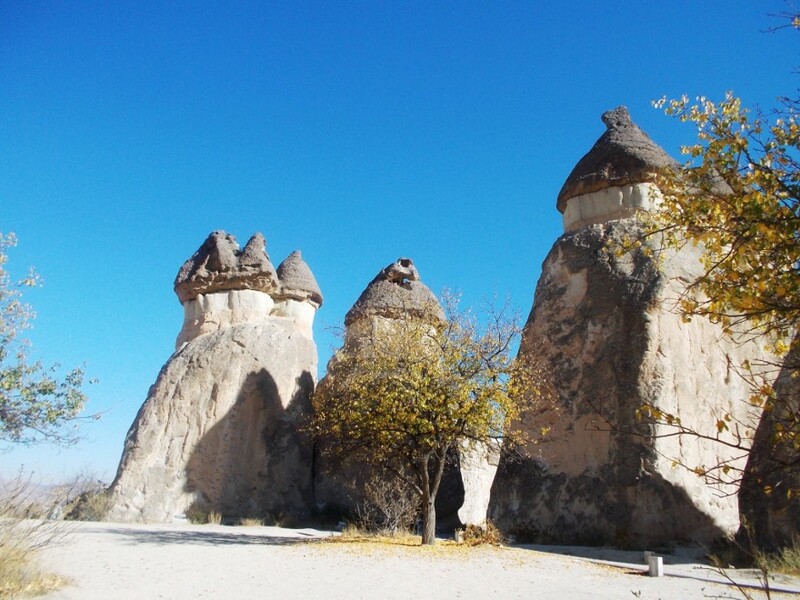 In fact, many early saints lived in Cappadocia or came from the district. Even the Christian doctrine of the Holy Trinity was largely formulated by a group of thinkers known as the Cappadocian Fathers (the group was founded by a woman, but that’s par for the course). In those days Saint Nicholas the Wonderworker also lived nearby, in the coastal region of Lycia. You might have heard of him as Santa Claus, which is what Saint Nicholas sounds like if said quickly. 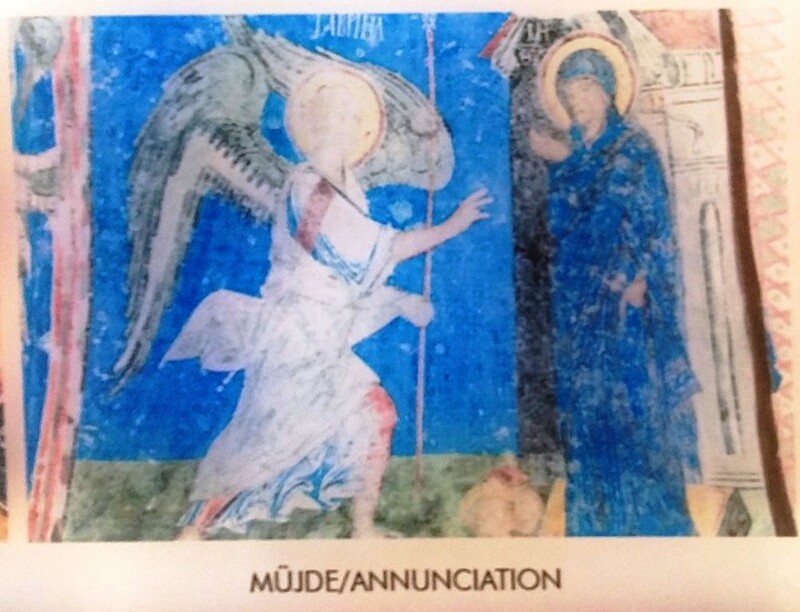 The connection comes about because the early, persecuted Christians continually gave each other gifts, in order to bind their community together. 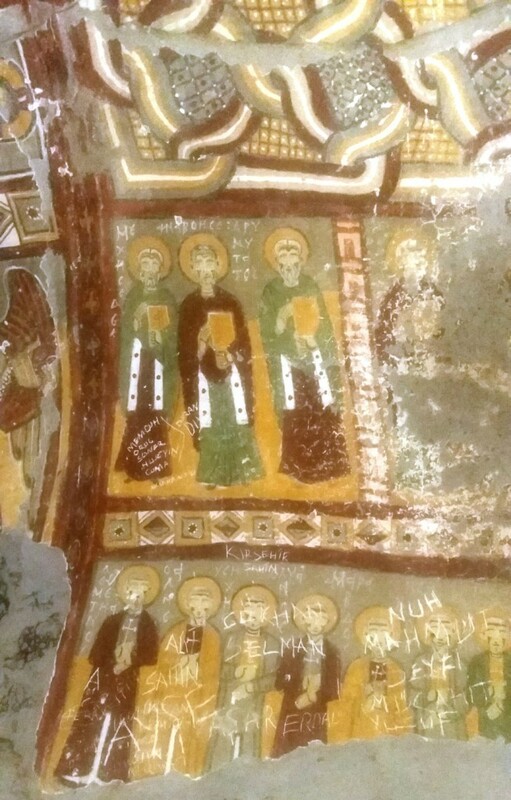 Until the 1920s, Cappadocia remained a centre of Greek population and Greek-Orthodox religious culture. Zelve Valley Shrine lit by sun. The rays are caused by lens flare, but they look appropriate! 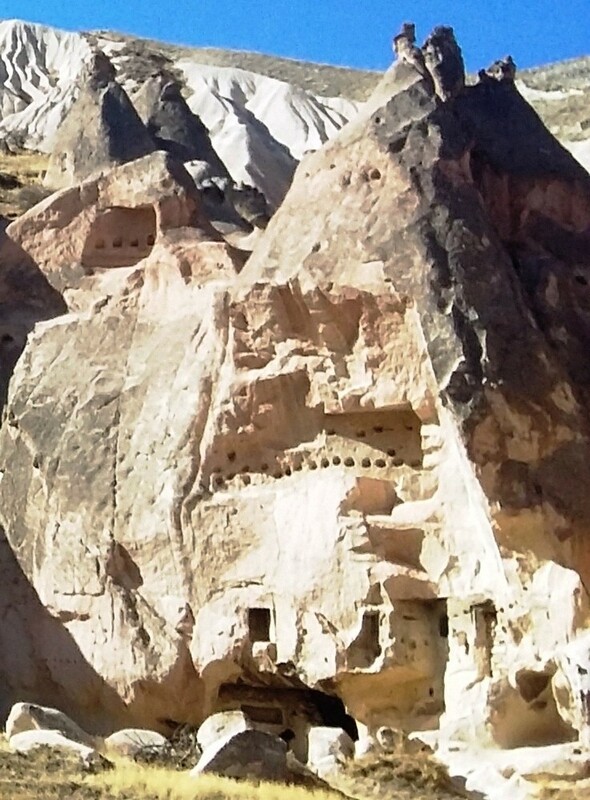 However, after all those millennia, Greek/Christian Cappadocia succumbed to a 20th-century calamity. At the beginning of the 1800s, in the days of Napoleon, the Ottoman Empire still ruled a vast area of Europe called Rumelia (the Rome parallel, again). Rumelia was as large as Anatolia, and Istanbul lay in the middle of the two, like the body of a butterfly between two wings. But in a series of episodes that began in the 1820s and ended just before World War One, Ottoman Turkey lost almost all of Rumelia to various rebel peoples such as the Greeks and the Serbs. By the second decade of the twentieth century, Istanbul was close to becoming a border town. These losses led to the rise of a movement called the Young Turks, which took over the Empire just prior to World War One. The Young Turks saw the Empire as decadent and weak and in need of modernisation. Some of the ideas that they had for reforming it were sound. For instance, the Young Turks recognised that an incredible 90% illiteracy rate had to be brought down if the Empire was to prosper in the 20th century. On top of that, the Young Turks observed that their country had almost no modern industries. It was no wonder that such a ramshackle empire had been kicked out of a modern, industrialising Europe. But other ideas the Young Turks held were more sinister, including the idea that the Empire had to be made more explicitly Turkish in national terms. What did this mean for minorities like the Greeks and the Armenians? Although the Albanians were mostly Muslim, all the other Balkan rebels were mostly Christian. Christians started to be seen as disloyal, and so for that matter did anyone who wasn’t ethnically Turkish. The Young Turks were modernisers, and hostile to aspects of Islamic religiosity that they saw as anti-modern. Yet at the same time as they wished to see the Middle East catch up with the West in technical and scientific terms, they were militantly anti-Western in other respects. Specifically, they saw the relation between the Middle East and the West in warlike, zero-sum terms. The only way the Middle East could catch up was, supposedly, by fighting the Christian colonial powers and physically kicking them out. A resurgent and purified Turkey (itself a colonial power) was to lead a struggle directed mainly against the French, the British, and also the Russians, who had driven Turkey out of the Crimea and the Caucasus. Parallels have often been made between the Young Turks and the rulers of Japan between the 1860s and the 1940s. Both had sought to modernise their country for purposes that were in other respects still quite warlike and old-fashioned. There was one key difference. 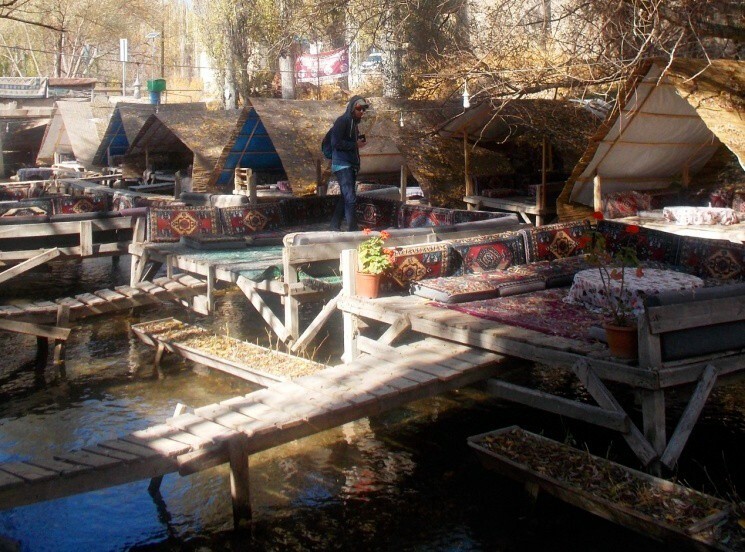 Unlike Japan, which was ethnically homogeneous and insular, Turkey was heir to a succession of cosmopolitan empires. Even Anatolia, the modern Turkish heartland, was full of minorities who didn’t fit into an extreme nationalist scheme. To repeat, what was to become of them? Things really got bad for these minorities after the outbreak of World War I. The Armenians, suspected of being sympathetic to Russia, were nearly exterminated, and a large proportion of the Empire’s Greeks and Assyrians were killed as well. Many journalists, academics and foreign governments have thus taken the view that events in World War One-era Turkey closely foreshadowed the Nazi Holocaust. Officially, any such parallel is still denied by the Turkish government, but the denial is wearing thin. During World War One, Turkey had been on the side of Germany and Austria. Turkey’s rulers hoped that if France, Britain and Russia were defeated, a new and more vigorous Turkish empire might regain territories lost to the Russians and Balkan rebels, and possibly even extend itself into central Asia. Unfortunately for the Young Turks, they found themselves on the losing side in 1918. In another parallel with later events, some Turkish leaders were then prosecuted and in some cases executed for ‘crimes against humanity’: a phrase that first entered the lexicon at that time and in that context. The treaty that ended Turkey’s war with the Western Allies was also, itself, a punishment. In addition to losing its Arab possessions, the Ottoman Empire was forced to cede some Greek-speaking parts of Anatolia to Greece, which had joined the war on the side of the allies in 1917. Naively, the Greek Army crossed the Aegean to garrison its new empire. At this point the Turks went to war again. 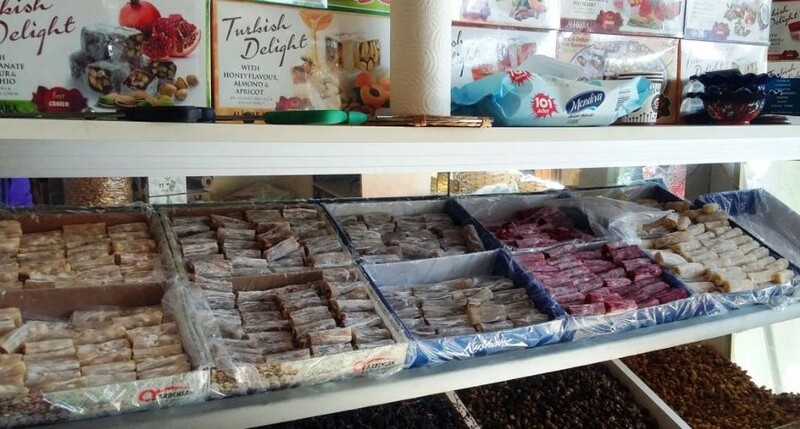 Turkey might have just been defeated, disarmed, shorn of its possessions and internationally shamed in a similar fashion to the way Germany and Japan would be a generation later. But it still packed enough of a punch to defeat little Greece. Greece had assumed that its former World War One allies were going to pitch in and help it set up camp in Anatolia. But the Americans had gone home. Russia had morphed into a Soviet Union that viewed Turkey as a possible ally. And the British Empire and the French, traumatised by the Gallipoli campaign, weren’t too keen on going another round in that part of the world either. Greece’s over-reaching was the final nail in the coffin of Greek culture in Anatolia. After Turkey succeeded in driving out the Greek army, the two countries agreed to a population exchange that foreshadowed the later partition of India. One and a half million Greeks were expelled westward from Turkey and at the same time, half a million Turks were expelled eastward from Greece. 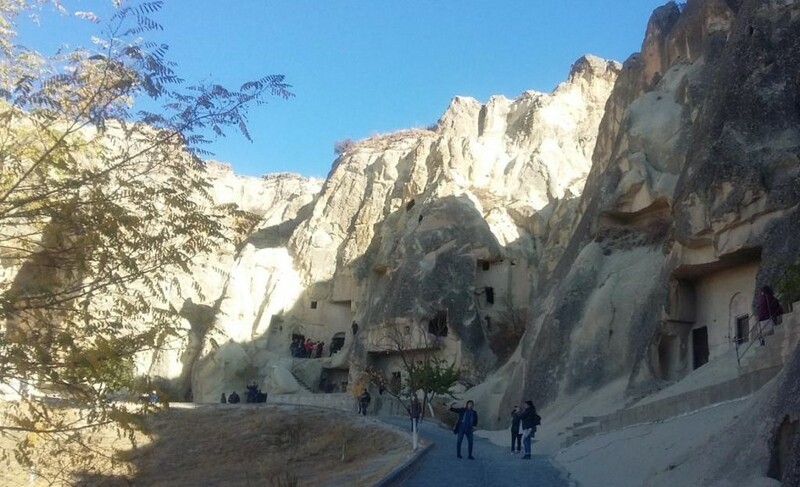 After the expulsion of the Greeks, ethnic Turks moved into Cappadocia and the towns and villages were given new, Turkish names. The region continued to be known by its old name, however. 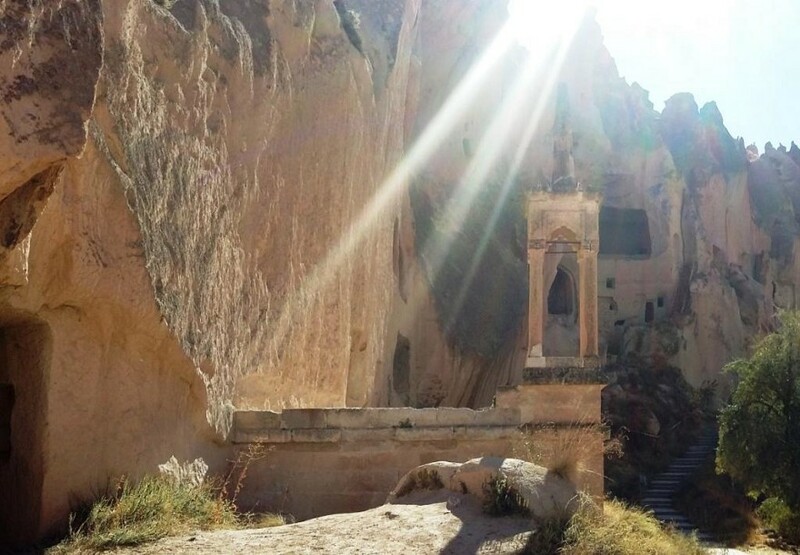 Half a century after the Greeks were thrown out of Cappadocia, the Turkish government began to realise that the region had tourism potential. 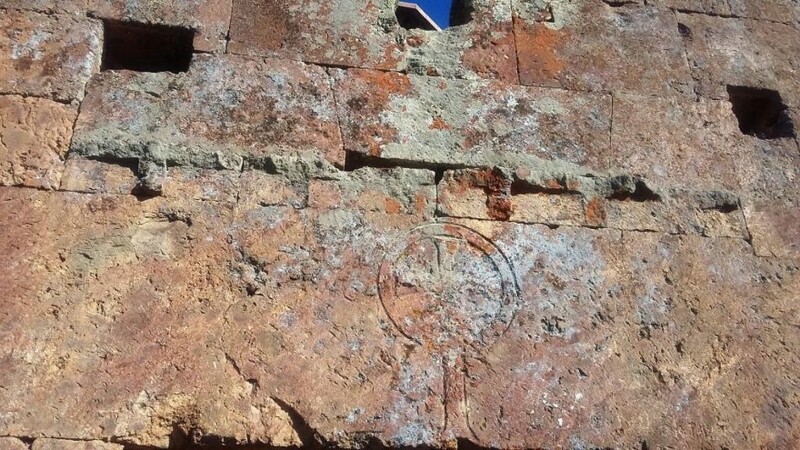 It was a landscape full of natural wonders and abundant physical remains of Greek Christian culture, such as old churches and religious wall-paintings. 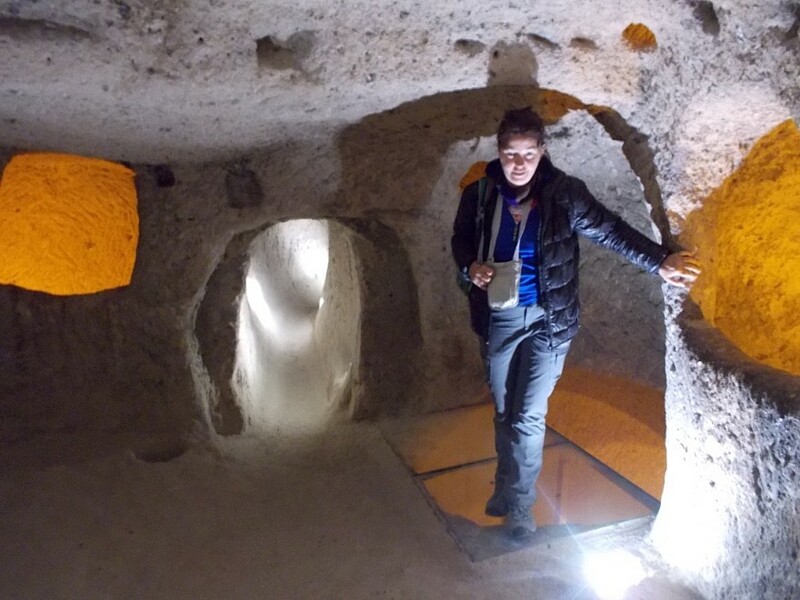 Gingerly exploring Kaymaklı Underground City! Thank goodness it’s better lit than it would have been in the old days. Another traveller named Ernesto Walker (no relation) at the Red Valley. Ernesto is from Argentina and we thought it amusing that we had the same surname! Rays of Light in the Red Valley. These are honest-to-goodness sunbeams. It’s remarkable to see something like this outdoors — very Biblical indeed. 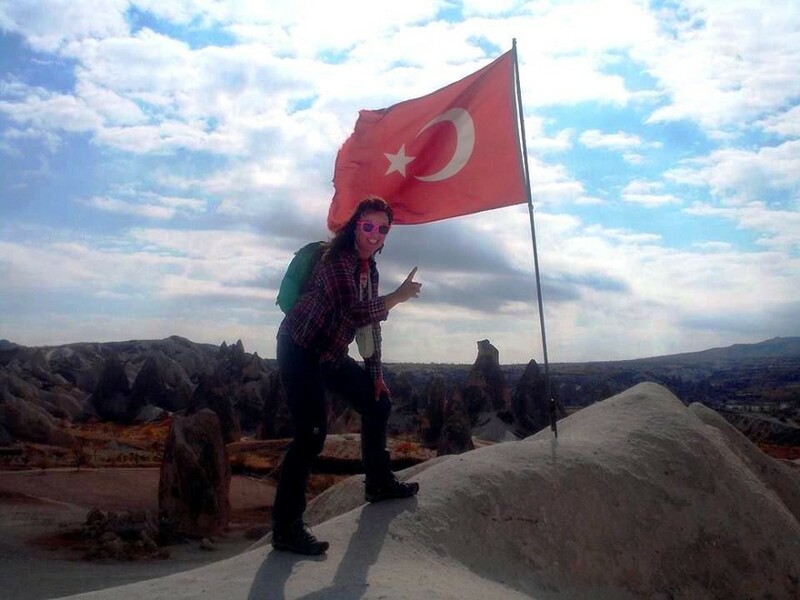 While Sağdiç was promoting Cappadocia as a tourism destination, Turkey was ruled by a right-wing military junta full of ideological heirs to the old aggressive nationalism. 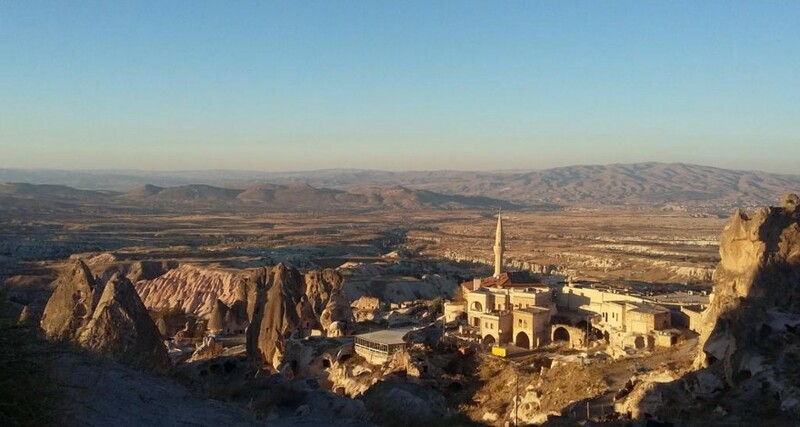 In 1981, the junta demanded that broadcasters and promoters stop using the ancient name of Cappadocia and its Turkish equivalent Kapadokya on the grounds that they both sounded Greek. 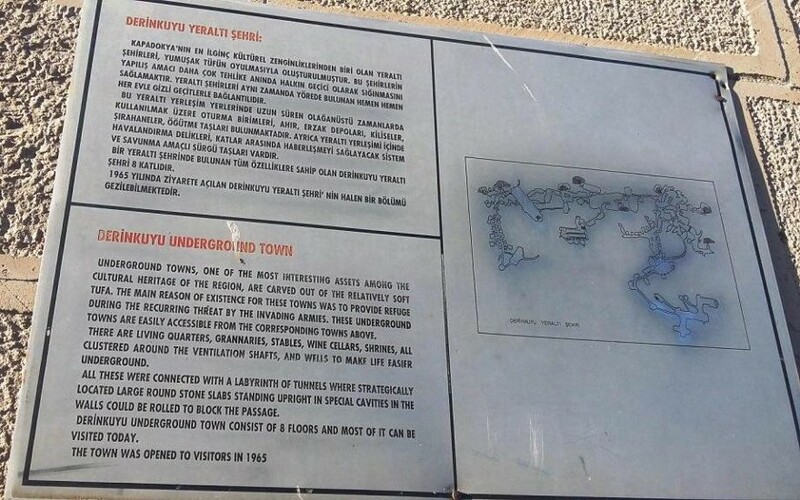 The junta wanted to replace Cappadocia/Kapadokiya with a more unambiguously Turkish name, which would have sounded more patriotic, but also unfamiliar to anyone who wasn’t Turkish and probably to most Turks as well. 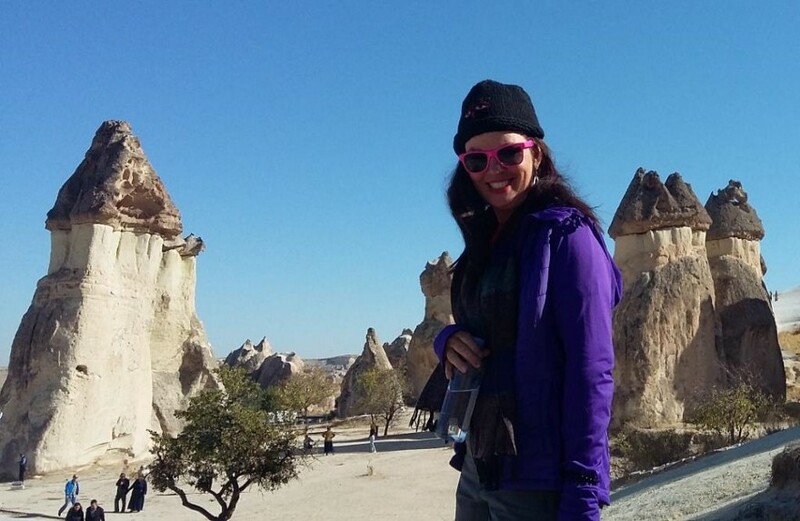 Although it sounded like a Greek name, nobody knew for a fact what Cappadocia meant or what language it came from. Sağdiç suggested that it came from the Persian word Katpatukya, which meant the land of beautiful horses. The Hittites, who had inhabited the area before it was settled by Greeks, had been experts at breeding horses. That was a fact, even if the rest was speculation. Heck, the theory was as good as any . . . and it mollified the generals and admirals enough for Cappadocia to keep its old name, whether it sounded Greek or not. Postscript: The story about Sağdiç is told in Hürriyet Daily News, Does Cappadocia mean ‘the land of beautiful horses’?, 1 September 2015. 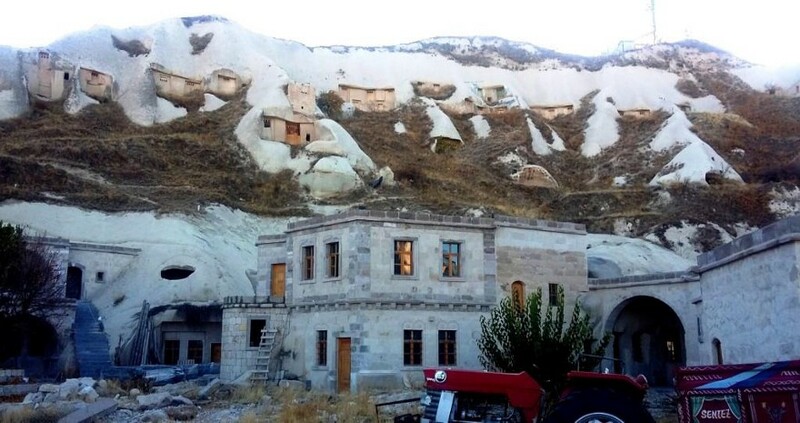 Ironically enough, the name favoured by the junta, Göreme, which is already the name of a part of Cappadocia, is known to be a Turkish adaptation of an older Greek place name.